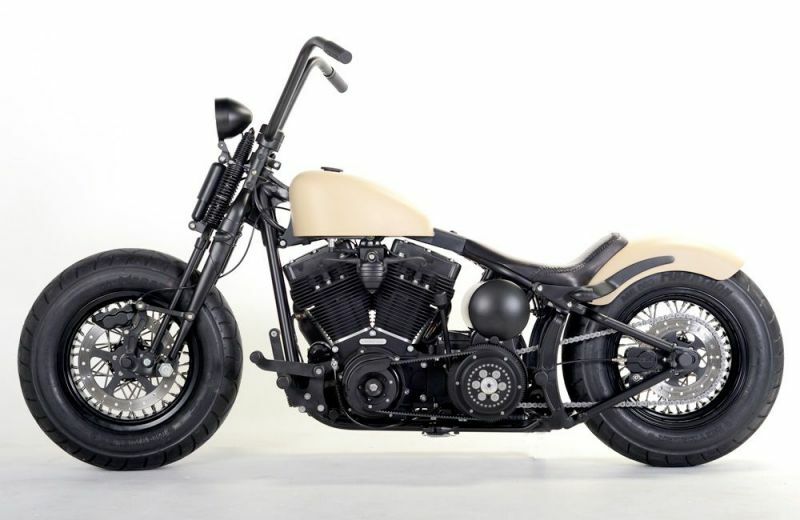 This 2008 Harley CrossBones has been given the complete Exile treatment. The 'desert storm' tan paint and extensive satin black powder-coat let you know this bike is as tough as nails and ready for action. This bike features around $15,000 of parts from our catalog, plus some fabrication work on the front end, paint, powder-coat, upholstery etc. 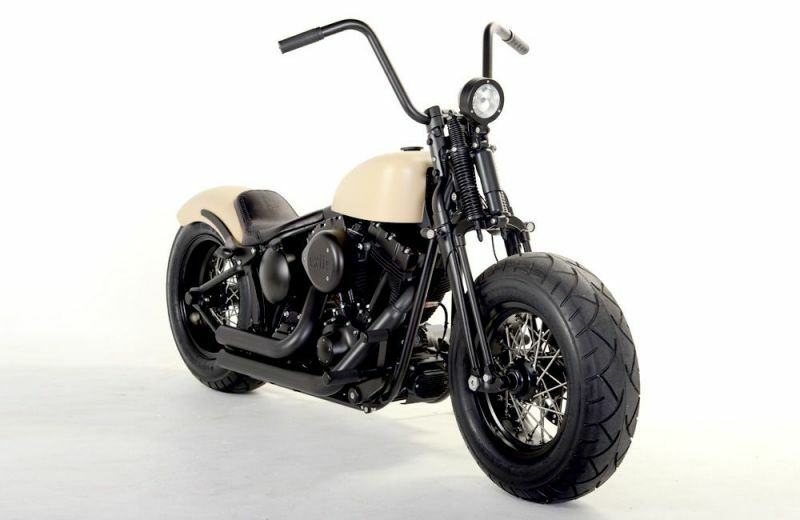 These bikes start life as a Harley Davidson Softail or Dyna and are transformed by replacing many of the stock HD parts with Exile parts. The number of parts replaced and the level of fabrication work involved varies between projects, as does the amount of paint, powder-coat and other finishes required. Some bikes are literally stripped to a bare frame, whereas other bikes involve zero fabrication and are completely "bolt-on" propositions. These are NOT the only bikes we can offer. We are always available to discuss a new project in great detail. You can bring your Harley to us, but we are also experts at sourcing the perfect 'donor' bike for your project at a great price – whether it be new or used. These bikes carry a HD title and, as such, are easy to register and insure. They also retain all the stock functions and boast speedometer, turn-signals, horn, fuel injection, etc. 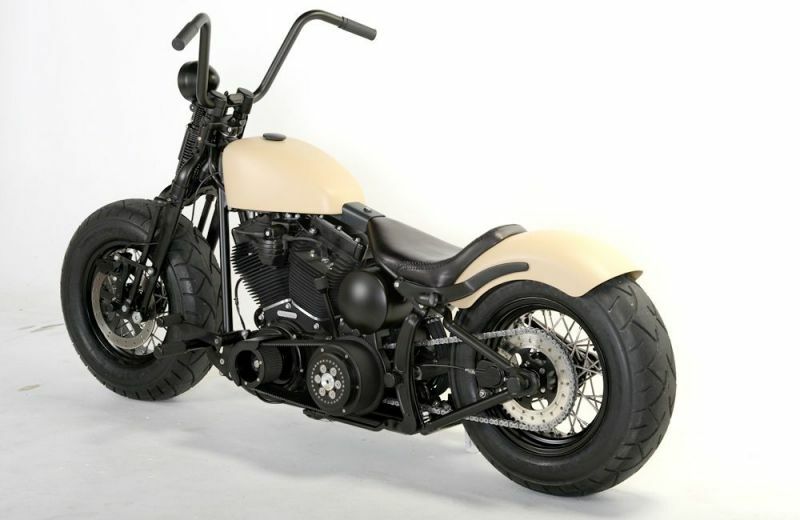 The cost of an X-Harley from Exile is simply the price of the 'donor' bike plus the price of the transformation.